Rev.Charles Mead was the Father of the South Travancore Mission, born on 1st October 1792 at Bristol, Gloucester, England. He was brought up by his uncle Rev.John Hunt at Wakefield, Yorkshire, attended Gosport Missionary School and ordained at Chichester on 6th March 1816. According to the London Mission Society’s report, Rev.Charles Mead was nominated for Travancore as Rev.Ringeltaube’s successor. He married Rev.Hunt’s daughter. He left from England on 20th April, 1816 for Travancore and arrived at Madras on 28th August 1816 along with Rev.Richard Knill, who known as the pastor of the church at St Petersburg. He was received by Rev.Loveless, who was the first England missionary of Madras. Rev.Mead was detained a considerable time at Rev.Loveless’s house at Madras by his wife's ill-health and he studied Tamil. There after he gave early intimation of his arrival to Col.Munro and consulted him on various subjects related to the mission affairs and solicited help. After one year back, he left for Travancore from Madras on 9 September 1817 along with his wife and arrived at Colachel on 17 January 1818. During his journey, the ship was stabled at Prince of Wales Island where his wife was died by leaving her baby due to her prolonged ill-health. 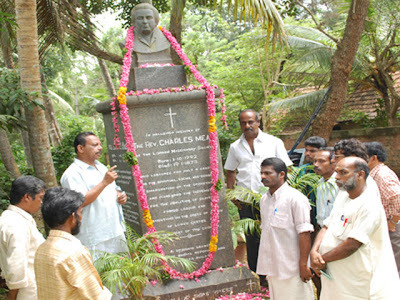 Rev.Charles Mead, the successor of the first missionary was heartily welcomed at Colachel by Vedamanickam who was holding charge of the mission work when Ringeltaube absence. Rev.Mead was quite pleased at seeing them than he had expected. The extreme pleasure which this first meeting gave him and the solicitude the people showed him had made such a lasting impression on his mind that he often referred to it during his life. On reaching Mylaudy to which peace, he was escorted by the Christians and found that though the mission had been left vacant for foreign missionary about two years, Vedamanickam had carried on the work with diligence and success, and that the people had remained faithful to their vacation. Here he lived in the hut of Rev.Ringeltaube’s for a short time and after getting all information about the Christians and the mission property from Vedamanickam, he lost no time in reporting his arrival to the British Resident Col.Munro and shortly afterwards went personally to pay his respects to him Col.Munro who was a great promoter of missions in Travancore. Before the departure of Rev.Mead from Madras, Col.Munro issued instruction to the Sircar officers of the South to repair the small mission house at Mylaudy in consultation with Vedamanickam and suggested certain alterations. The Mylaudy Mission house was got ready for Rev.Mead’s occupation before the time he set out from Madras, Col.Munro was not aware of the sad calamity which had striked Rev.Mead during the voyage. Thus at last with his child John Hunt, who had now the father only one solace and delight particularly during affliction and he arrived after his tragic journey. After the arrival of Rev.Mead, the missionary who succeeded Rev.Ringeltaube was the Master Builder who developed the infant mission and shaped it to an extensive organization. He was the father of the South Travancore Mission and principal agent in the formation of all stations from Kanyakumari in the South to Quilon, in the North. He had a keen and alert mind, was as full of physical energy as he was of courage. He very early saw the need of Mylady and when Colonel Munro offered him for his occupation his own circuit bungalow at Nagercoil, Rev.Mead gratefully accepted, made his headquarters there and received as a grant also from the Range of that time the pieces of land around the mission bungalow on which the Church, the Press and the Scott Christian College, now it is the no.1 college in Nagercoil. As early April 1818, Mead has been appointed to the office of Christian judge at that town by Travancore Rani (Queen). 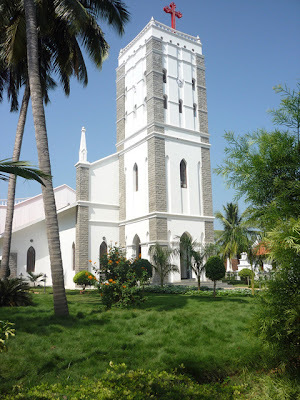 In this year, the Range of Travancore gave a donation of Rs.5000 to the mission, which he added to the lands and put aside a portion towards the erection of the Nagercoil Church. It was during the first year of Rev.Mead's service that great numbers of people (Nadars) were added to the church, as many as three thousand in one year. 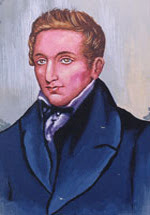 Rev.Charles Mead shifted the Mission Centre of Rev.Ringeltaube’s from Mylaudy to Nagercoil in 1818. For the further development of the mission, the entire mission area was divided into six mission stations of Nagercoil, Neyyoor, Parassala, Trivandrum, Attingal and Quilon. 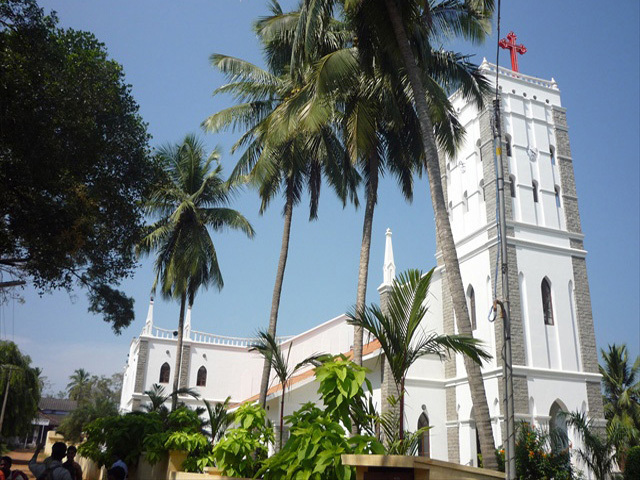 He received donation from Maharaja of Cochin, who was heathen and other members of the royal family offered for construction of a church at Nagercoil. In 1818, enormous sum had been spent to Travancore from the generous contributors of the people in England. In 1818 itself, about 3000 people embraced the Christian religion. On 29 September, 1818, he was joined by Rev.Richard Knill, another missionary of the LMS who came to Travancore to recover his health, which had failed in Madras. During Knill’s short stay, he seems to have entered heartily into Rev.Mead's plans of work and to have greatly cheered and helped him. The foundation stone of the Home Church at Nagercoil was laid on the New Year Day of 1819 by Rev.Richard Knill and suggested, assisted at the building of the church at Tittuvilai. 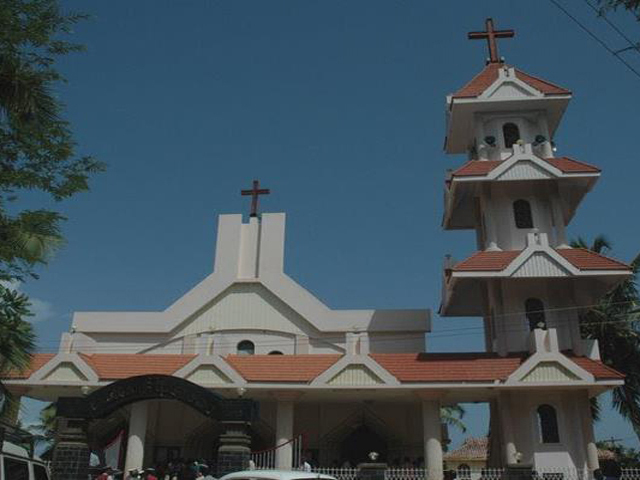 He married daughter of Rev.Horst, the Tanjore Missionary, resulted in the transfer to Nagercoil of a number of trained catechists from the Danish mission. At the same time and from the same place also, Mr.George Harvey Ashton joined Rev.Mead as his assistant. Rev.John Smith and Rev.Charles Mault, the LMS missionaries were joined in later 1819. Rev.Mead also commenced the building in 1818 and era long the strong and spacious granary was finished with the cellar and downstairs to store up for food grains and the upstairs to be used as dwelling houses for the missionary as well as travellers bungalow for European visitors. The Granary was planned to hold 1500 cottahs of paddy, Rev.Mead was induced the granary at Mylaudy instead of at Thamaraikulam. The superintendent of the granary was chosen from Vedamanickam’s family in recognition of the eminent service rendered by that family to the mission. Thus the charge of the granary continued in the family for over 50 years. The superintendent was always a respectable and influential catechist and he had with him one inner and one outer key of the each door and his clerk who was always a Hindu caste man had the other set of the inner and outer keys of each door so that the doors could not be opened by either of them without the other. It is hoped that these arrangements were preserved in the management of the granary at Mylaudy and that great care and attention are shown to ascertain whether the exact quantity of paddy is always secured. In October 1819 Rev.Mead commenced the mission seminary at Nagercoil. His plans for this seminary were of the same ambitious order as characterized his church building ideas. English and Sanskrit as well as the two vernaculars were taught, and several European youths, sons of factors in the neighborhood, were among the first students. Rev.Mead had for his assistant Mr.M'Ally as well as Mr.Ashton, and a number of native teachers from Tanjore. Of this, the first English educational institution in Travancore, Rev.Mead spoke these prophetic words "This will give rise, we hope, in time to a mission college for the south of India, on the liberal principles of the London Missionary Society." He opened an English Medium School at Nagercoil (1820) and also first Girls school with Boarding facility of Travancore at Nagercoil was established in 1819 by Mrs.Johanna, wife of Rev.Charles Mead. In the following year, 1820, Rev.Mead, on a visit to Tanjore, obtained a printing press, which he set up in his own house at Nagercoil, securing at the same time a trained native printer from Tranquebar. This was the first printing press ever introduced into Travancore, preceding the Kottayam press by about a year. It is interesting to notice that the paper sent from England for this press, being presented by charitable persons, was admitted to the country by the Travancore Government free of duty. Rev.Charles Mead also continued his effort the school at Mylaudy shifted to Nagercoil as he believed the English Medium School at Nagercoil could one day become a college, which materialized in 1893. 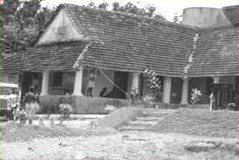 In 1820 the first public school for Hindus was opened for the Hindus, especially Nadars at Nagercoil. The Neyyoor Girls Boarding school was established in 1828 under the Neyyoor Mission which was situated in an ancient Nadar area. Rev.Mead started the first School of Industry (technical) in 1820 at Nagercoil this school provided technical education and trades such as printing, bookbinding, tanning, curing of leather etc. In 1820, the mission has planned to start a branch of the mission at Quilon under John Smith. 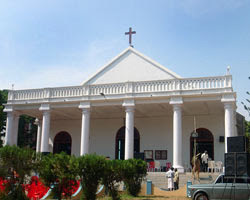 During his tenure numerous schools and Churches were established and by 1827 there were forty four schools in Travancore. In 1828, the head quarter of the Nagercoil divided into two District of Nagercoil and Neyyoor District. The Neyyoor Mission station was established and Rev.Charles Mead took the charge of the new station. The discharge of the duties connected with this high office had conferred on the local people many benefits and made an impression throughout the country which was highly favorable to the success of missionary work. In 1828, Rev.Mead and Rev.Pelis Lyer were came to Devicode and made people know about Lord Jesus. The Neyyoor district has Arapurai, Ammaidivilai, Attoor, Ammsi, Colachel, Kaliakavilai, Killiyour, Devicode, Eathavilai, Kodupaikuzhi, Kunnamcade, Kannanoor, Kothanavilai, Peyankuzhi, Pulipanam, Marudoorkurichi, Nadutheri, Kanchrapuram, Kuntrathur, Kizkulam, Mandaicadu, Mathicode, Manalicadu, Senamvilai, Vadakankarai, Palliyadi, Neyyoor, etc. In 1836, he took his first leave to England and returned back in 1838 with five more missionaries. In 1838, his 2nd wife died. In 1839, his daughter, Ann Mead married Rev.Augustus Caemmerer, the SPG missionary at Nazareth. 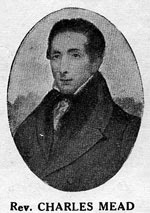 His 3rd wife, Mrs.Mead died on 6 February 1848 at the age of 45 years. In 1852, he married Lois Biddulph, the daughter of Devaram, the Indian Christian poet and his chief assistant. In 1853, Rev.Mead left the mission, because of the difference of opinion among the missionaries with regard to his marriage with low caste women who was a grant daughter of the first convert and the real founder of the protestant Christianity in Travacore, Maharasan Vedamanickam. Then he gave over the charge of the out station congregations of Parassala and Santhapuram. Later he went to Tiruvanandapuram. In 1855, in recognition of his contributions to the cause of education, the Travancore Government appointed him Superintendent of Schools, and while in this office he encouraged women's education in Nagercoil and in the state of Travancore. He started the Nagercoil Mission Press, the first printing press in the state of Travancore. He fought to abolish forms of indentured labour rampant at that time. He also served for the betterment of the down - trodden for more than half a century. By 1824, Nagercoil had around 48 schools in entire South Travancore. During his period, people under his fold multiplied in thousands year after year and the mission centres expanded from Quilon to Cape Comorin. He brought more missionaries during this period from homeland and expanded the humanitarian outreach through educational, medical and technical services. Mead established mission centres in most of the important places. In those centres he also built churches and schools. He died on 19 January 1873 at the age of 80 years at Tiruvanandapuram. why they (colleagues) avoid him at last? Had he ever been to samithoppu?